Like everyone else in Lincoln, Distraction is celebrating the 800th anniversary of the Magna Carta. Held at Lincoln castle, the Magna Carta is an historical document that affects our society to this day. Known as one of the first charters to limit the power of the King and to uphold the rights of the individual, the document was written in 1215 and is on display at Lincoln Castle for all to see. The original Magna Carta exhibited in Lincoln Castle belongs to Lincoln Cathedral. It was destined for Lincoln, and has been cared for in the Cathedral archives since it first arrived here in 1215. It is one of only four surviving originals. Being a Lincoln celebration, Distraction is proud to contribute to the event by doing what we do best and creating some eye catching and impacting design work. This includes projects such as installing the exhibition panels around the facsimile copy of the Magna Carta within the Cathedral and as ongoing work with Lincoln Record Society. We worked closely with members of the Cathedral team to ensure that we produced a welcoming and interesting exhibition space, while being sympathetic to the architectural features shaping the exhibition panels to fit and providing discrete lighting. It was vital that we produced work that would stay in position for a year, without damaging the Cathedral in any way. The facsimile is housed in a wooden plinth which we stood on top of a bespoke breathable carpet, which means that the moisture is not drawn out of the stones. 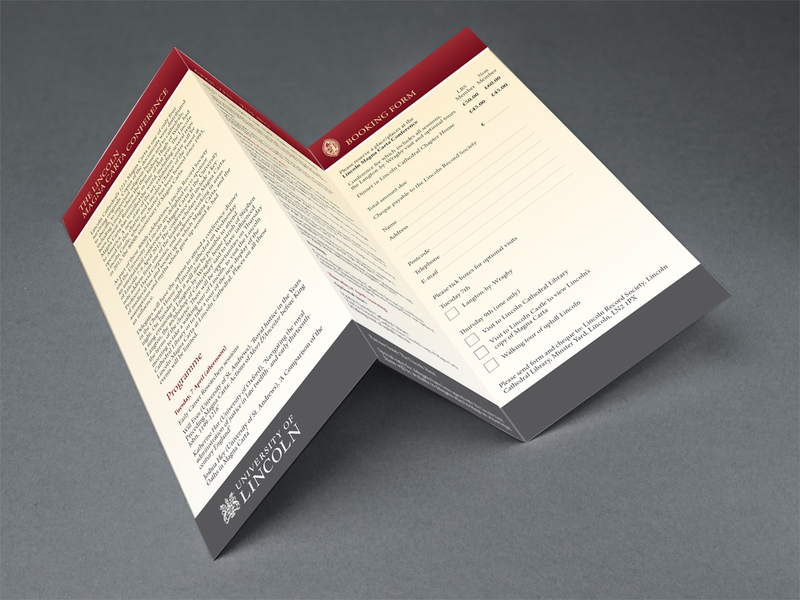 Work with the Lincoln Record Society includes the Magna Carta conference. 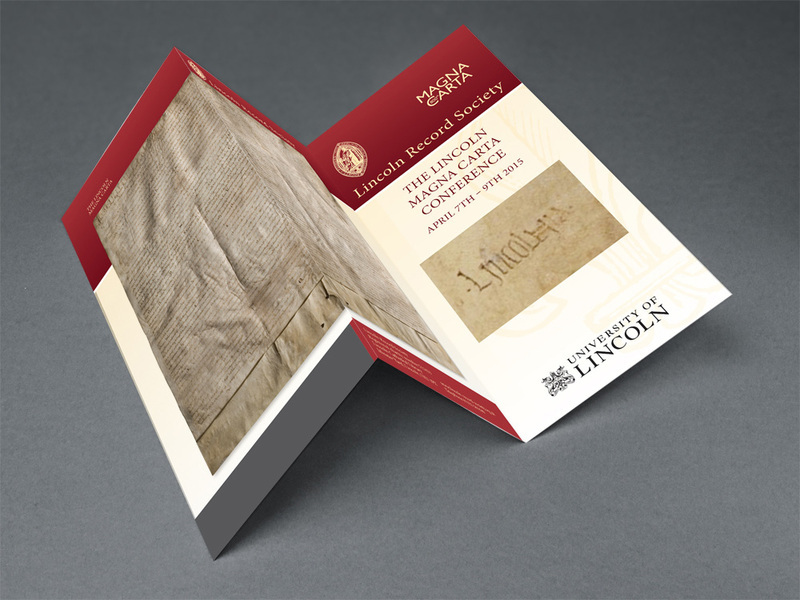 As part of these 800th celebrations, Lincoln Record Society and the University of Lincoln were delighted to co-sponsor an international conference on Magna Carta at the University of Lincoln, on 7–9 April 2015. The conference included a keynote address from one of the leading scholars on Magna Carta, Professor David Carpenter, and academics working in areas of medieval law and society upon which Magna Carta, and the assumptions and myths which grew up around it, had an influence. Lincoln Film Society­ has decided to celebrate the 800-year anniversary by deciding to show several films across Lincoln in the next few months. Films are being played at places such as The Venue, the Collection and Lincoln Drill Hall to name but a few. 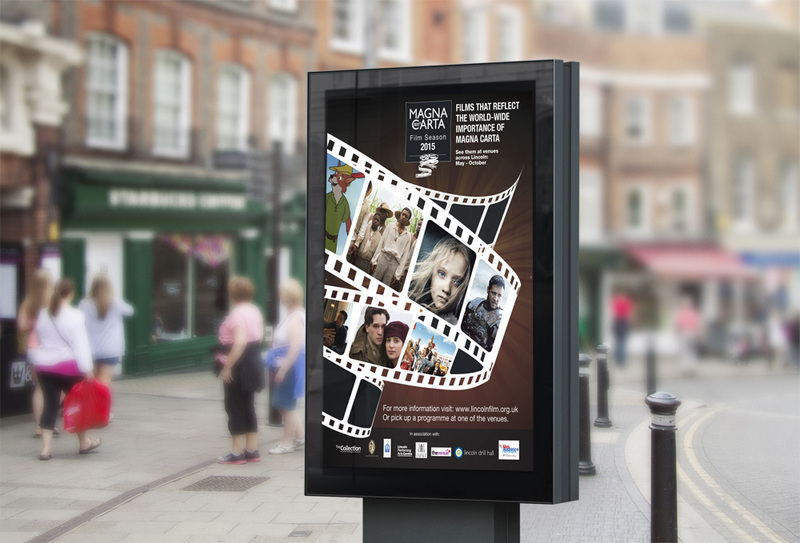 With each film in some way relating to the impact of the Magna Carta we have designed several posters to advertise the events – do look out for these around Lincoln.